I grew up in a joint family, where I savored the taste of my every elder sibling’s hobby, excluding mine specifically. Being the youngest in my family usually gave me the opportunity to enjoy only the used toys and the broken handle bicycles form my elder siblings, with a smile. My toys had been a charity from my 3 elder siblings and I was terrorized, at every moment when it came for me to get any NEW toy, because they conveyed their wish list of toys through me. This was not all about my distressed childhood, but my childhood carried some beautiful memories of my mother’s delicacies, her lullaby, and off course playing the chirpy Pokemon cards and games, again gifted by my mother. Luckily the antique squad of my elder siblings, didn’t intervene in my Pokemania, because till the time I got my Pokemon, they were old enough to deal with their teen-issues. Pokemon, proven to be a blessing for me, but annoyed my parents constantly, since, while playing Pokemon, I got too much engrossed with my playing pattern, and at times I skipped my lunch, sometimes left my books on the table, sometimes forgot to do my homework even, those were the times, when I was shrieked out by my mother with the most unwanted comments like, “You are so stubborn like your paternal side, again trying my patience, let your father come, I would tell him, if you would fail, then you would realize,” these beautiful statements along with some avoidable vocabulary words casually sweetened my ears every day, when I let myself be engulfed by the quilt many a times, to play Pokemon cards. This fad slowly faded away by the time, when responsibilities replaced my hobbies. I completed engineering, secured a position in the company – Techugo, where I work as a Business Leadership Manager. Suddenly these too many roles of life, made me mature and sensible for no reason. Today, am praised by every single person in my vicinity, but somewhere I miss that childhood Ankit, who listened to mother’s rebuke and fought with elders. I yearn to play my favorite Pokemon and always dream what if Pokémon weren’t limited to the games’ world? What if they were real and inhabited our world? What if I could be Ash Ketchum? I want a Pikachu in real life too, dammit! It’s not possible now, am old enough to handle my nostalgic frustration. ..Give me a break if you think, my answer is going to be something like this, I want to play Pokemon and live that childhood life for anything in the world and no doubt, can give the arms and legs of villain siblings to play Pokemon again. Luckily, for my dream comes true, technology has evolved to be able to simulate a world in which Pokémon are real. 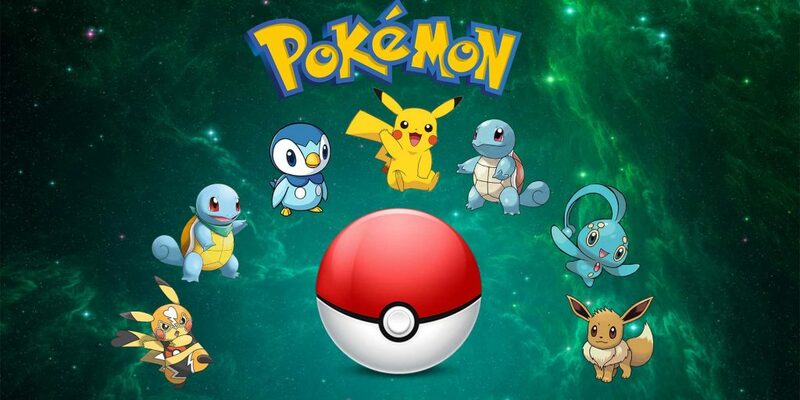 A new smartphone game ‘Pokemon Go’ has been launched by Nintendo.Co. In this game players can chase virtual monsters through real-life city streets . Pokemon Go, lets the phone’s ability to track the time and the location, the game imitates what it would be like if Pokémon would really roam around all times, ready to be caught and collected. The player can catch the Pokémon,there are also gym leaders and other trainers can be fought for fame, glory, and loot, the player can also customize their in-game character’s look and name. Something which is more exciting, is that, the game lets you explore the real-world environment at different times. For example, if the user goes out to a park, would probably see more grass- or bug-type Pokémon. If the user goes near a lake or ocean, would be able to pick up more water types. And at night, more nocturnal fairy and ghost types can be seen. PokéStops, add the value of this game, these stops are essentially notable locations in the real world marked on the in-game map. The user can go to these to nab items, including Poké Balls and eggs that can hatch into full Pokémon. It’s also possible to install special items at PokéStops that lure extra Pokémon, which also make the stops glow pink on the map so players know that hanging around will attract extra Pokémon. “Pokémon Go,” was released less than a week ago, has already ranked among the most-downloaded and top-grossing smartphone apps. Officially, the game is live in US, Australia and New Zealand. But will be launched soon in India.